Trash collection days are TUESDAY and FRIDAY, recycle collection is FRIDAY. 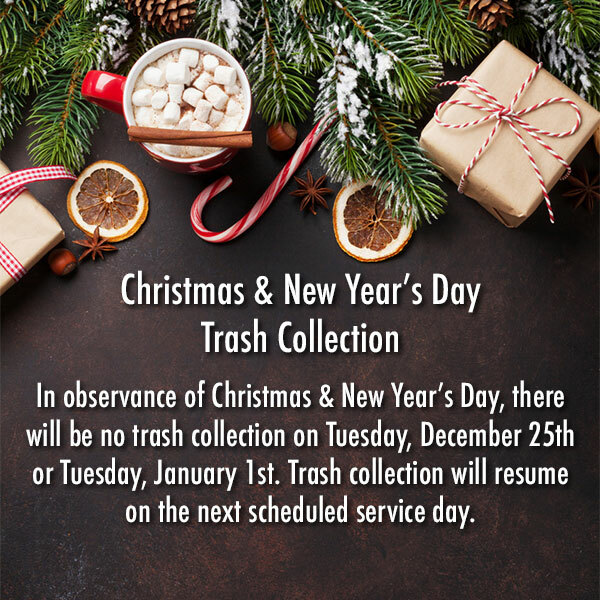 Please have trash out to the curb by 7:00 a.m. each collection day. Trash may be placed in containers (30-50 gallons) or bags (not exceeding 40 pounds). 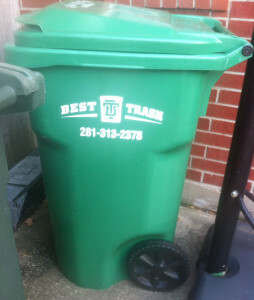 Best Trash will provide one 64 gallon recycle cart to each resident. On each regularly scheduled collection day, Best Trash will collect residential trash located at the curbside.